Follow along as food system leaders visit the Haas School of Business to present their visions, research, and experiences. T he Edible Education 101 course was created in conjunction with the 40th-anniversary celebration of Chez Panisse Restaurant in Berkeley, California. Alice Waters, founder of Chez Panisse and the Edible Schoolyard Project, launched the course in partnership with the University of California, Berkeley. Edible Education 101 is a hybrid public lecture series and for-credit class. It has been offered to undergraduate students and members of the public for seven semesters since 2011. The 2019 offering of Edible Education 101 will focus on how we can each become knowledgeable and empowered to Take Action in transforming the food system to become healthy, sustainable and just. 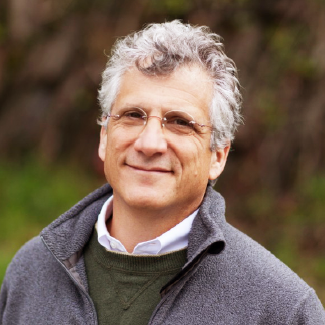 WILLIAM ROSENZWEIG is a Fellow at the Institute for Business and Social Impact. In 1990, Will served as founding CEO of The Republic of Tea and has had a prolific career cultivating early-stage companies focused on health and sustainability. He is the recipient of the 2010 Oslo Business for Peace Award and was named one of seven people shaping the future of food by Bon Appetit magazine. Representation Matters in Food Media, Naomi Starkman with Soleil Ho, Stephen Satterfield, Luz Calvo. Organize: Are Restaurant Careers Sustainable?